There are 0 Memory Care Facilities in the Detroit area. Caring.com has helped thousands of families find high-quality senior care. To speak with one of our Family Advisors about memory care options and costs in Detroit, call (855) 863-8283. We found no results for Memory Care in Detroit. There are about 180,000 residents in Michigan identified as having Alzheimer’s disease. Detroit, the state’s largest and most populous city, makes significant efforts to help affected seniors and their families through various local organizations and medical establishments. The Detroit area also has several memory care facilities in the form of Alzheimer’s/Dementia units within licensed nursing homes and homes for the aged. 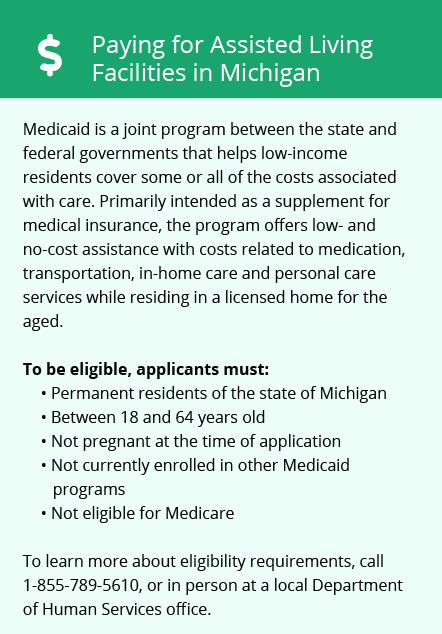 Such facilities in Detroit and the rest of the Great Lakes State are governed by the Bureau of Community and Health Systems (BCHS) under the Department of Licensing and Regulatory Affairs (LARA). The Detroit-Warren-Ann Arbor area ranks among the top metropolitan areas with poor air quality when it comes to ozone and 24-hour and annual particle pollution as recognized by the American Lung Association. This may pose additional health risks to seniors with certain respiratory conditions. To allow seniors and their families to allocate a better budget for memory care, the state of Michigan doesn’t tax social security income, and there are significant tax deductions on pensions and retirement account withdrawals. This is in addition to Detroit’s cost of living which is 3 percent lower than the national average. Violent crimes in Detroit occur more than 300 percent more than the Michigan state and U.S. national averages, putting the city among the 100 most dangerous cities in the country. Tight security systems are important factors for consideration when choosing a memory care facility for a senior loved one. Detroit is home to world-class medical facilities including those specializing in brain health and dementia care such as Henry Ford Hospital Neurodegenerative Diseases Center, Henry Ford Health System 1 Ford Place Neuropsychology Division, StoneCrest Center Alzheimer’s Disease Treatment and Therapy, Rosa Parks Geriatric Center of Excellence and Senior ER and Neurology departments in DMC Sinai-Grace Hospital and DMC Harper University Hospital in the event of medical emergencies or illness. Memory Care costs in Detroit start around $0 per month on average, while the nationwide average cost of memory care is $4,799 per month. It’s important to note that memory care rates in Detroit and the surrounding suburbs can vary widely based on factors such as location, the level of care needed, apartment size and the types of amenities offered at each community. Detroit and the surrounding area are home to numerous government agencies and non-profit organizations offering help for seniors searching for or currently residing in an assisted living community. These organizations can also provide assistance in a number of other eldercare services such as geriatric care management, elder law advice, estate planning, finding home care and health and wellness programs. To see a list of free memory care resources in Detroit, please visit our Assisted Living in Michigan page. 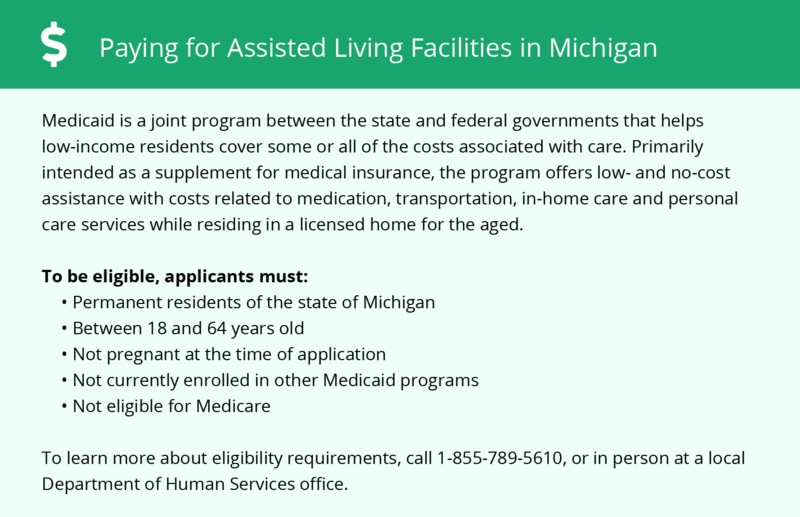 Detroit-area assisted living communities must adhere to the comprehensive set of state laws and regulations that all assisted living communities in Michigan are required to follow. Visit our Memory Care in Michigan page for more information about these laws.